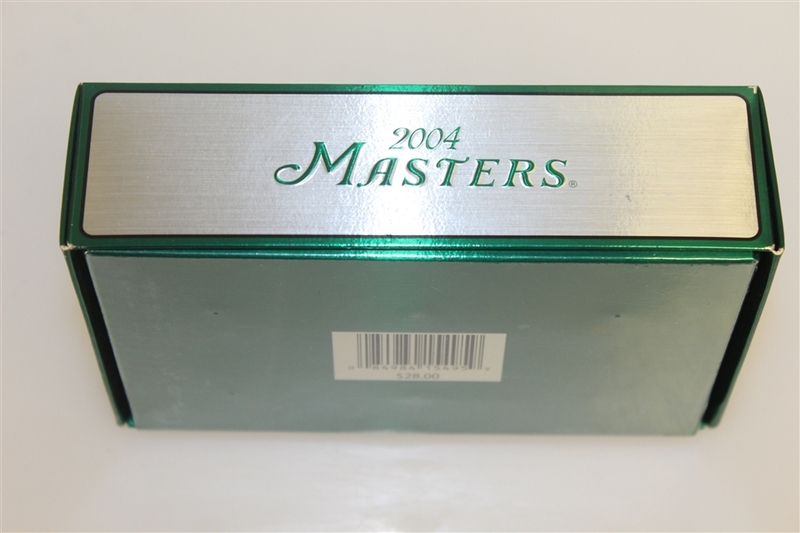 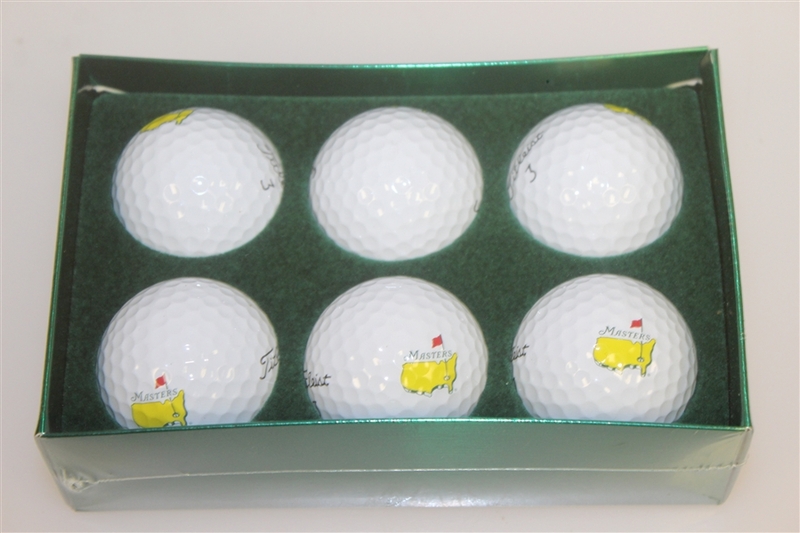 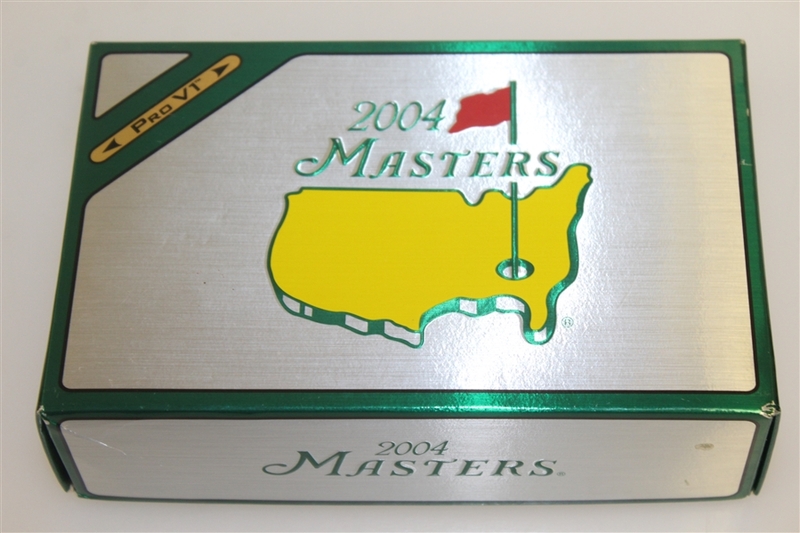 This lot contains a pack of six Pro V1 golf balls from the 2004 Masters tournament. 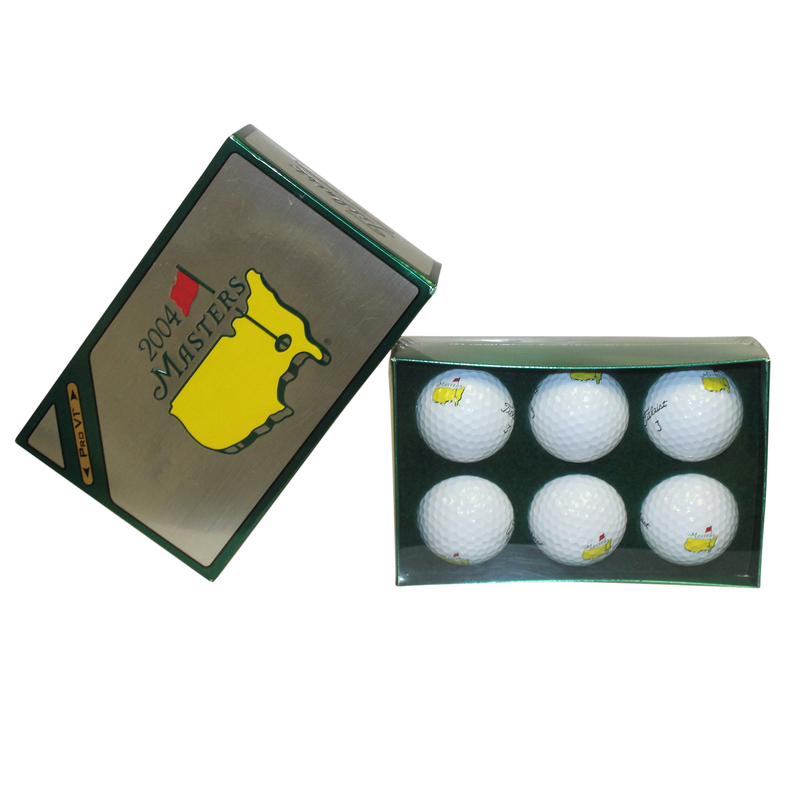 Each golf ball bears the mark of the Masters tournament. Phil Mickelson claimed his first Major title at the 2004 Masters.